Whether you are after stylish mirrored dresser or elegant mirrored bed for your bedroom, Pulaski is your one-stop-shop as it provides you the Farrah collection from Pulaski exemplifies opulence and glamour. 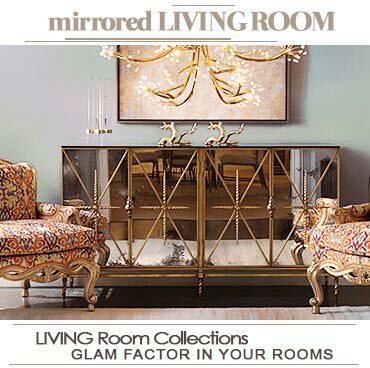 This collection is featuring a multi-step metallic finish, antique mirror borders that add a touch of sparkle and silver drop- ring pulls complete the sophisticated and elegant look. 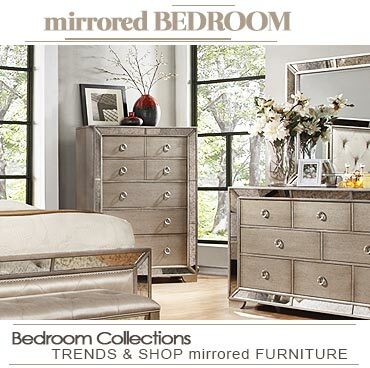 Their mirrored bedroom furniture pieces include chests, beds, dressers, benches, mirrors, nightstands, etc.